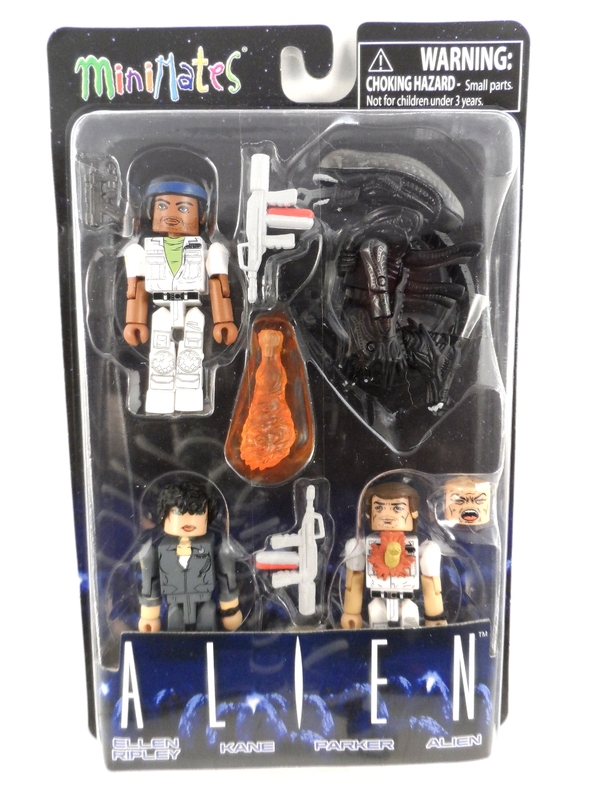 This is your typical blister carded 4 pack of figures all based on the 1979 film, Alien. You can see most of the spare parts easily and a few more are hiding out behind the name card at the bottom of the blister. 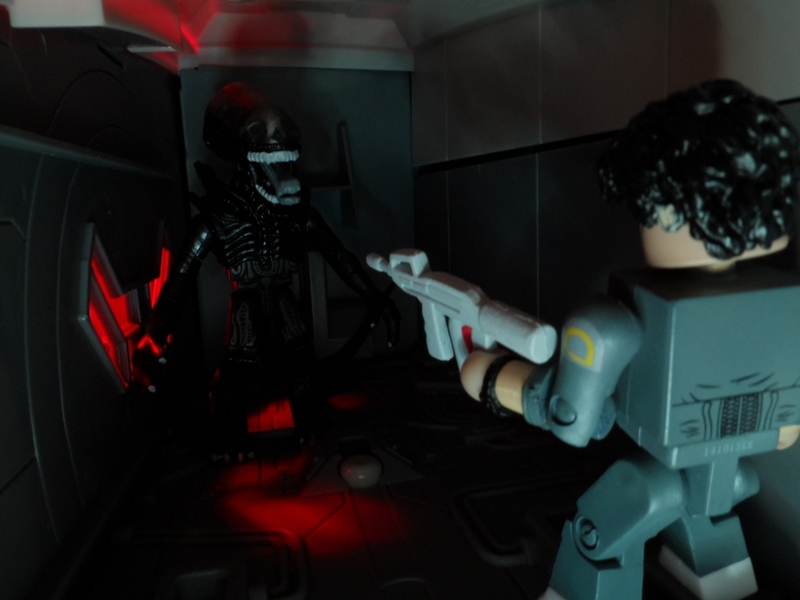 First up is the Alien. 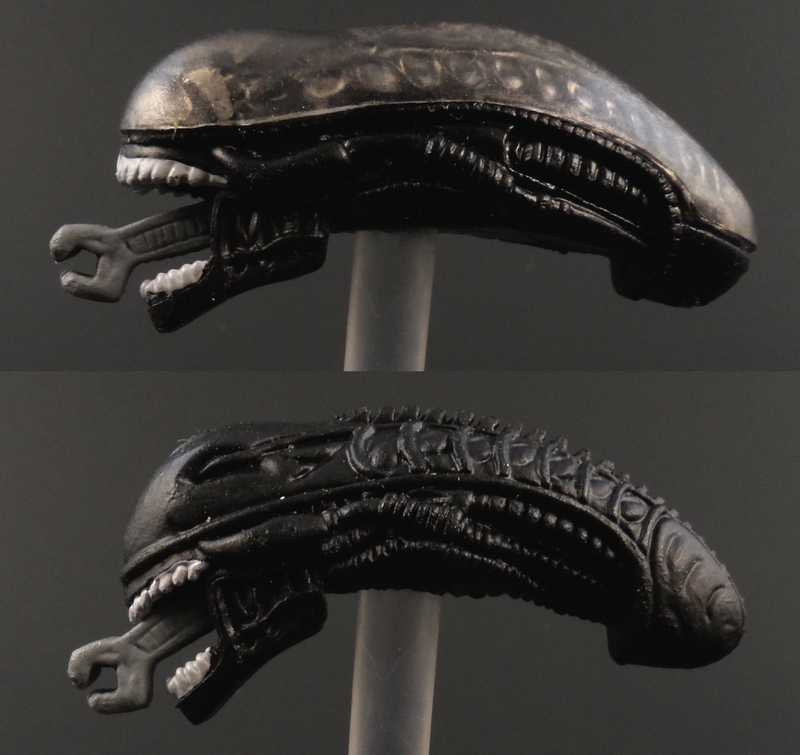 From the neck down, this is the exact same alien we’ve gotten in the Dump Case. 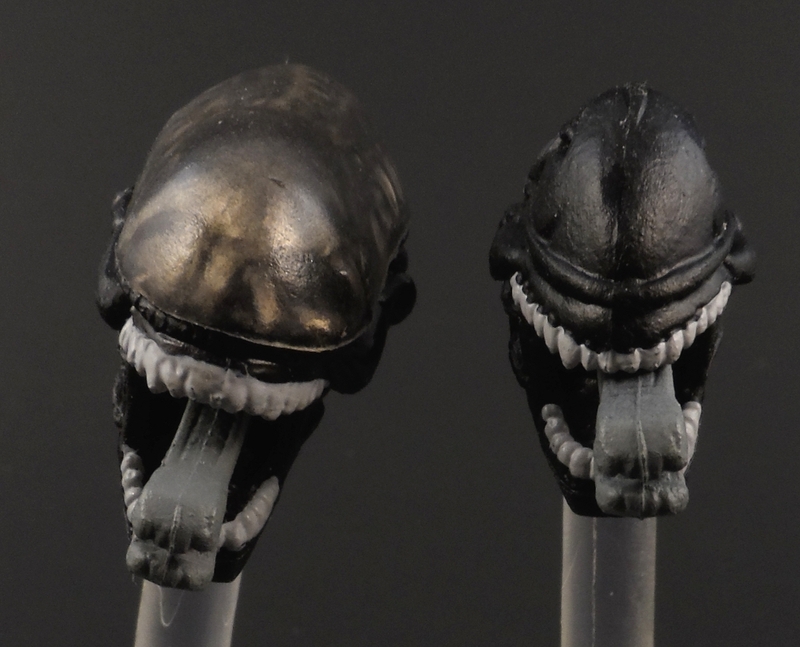 It has the jaw tongue like the attacking Alien from that set, however, the rest of the head is completely different. 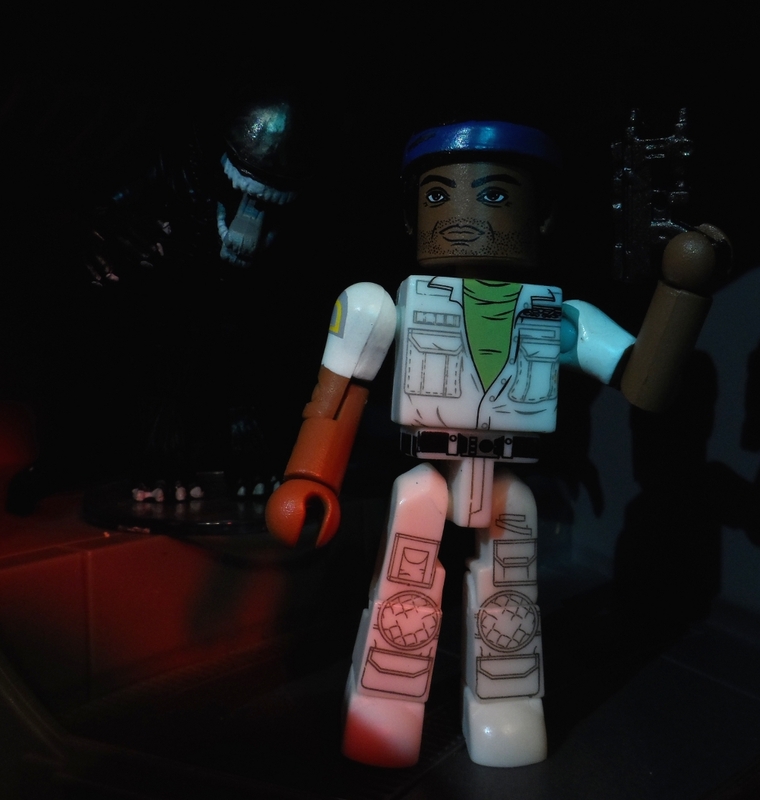 Unlike all the other Alien Minimates, this one has a clear dome with skull highlights painted underneath as seen in the movie. The lower jaw and tongue appear to be the same pieces glued onto a newly sculpted head. The highlights under the clear dome are a nice touch that adds to this figure’s details. 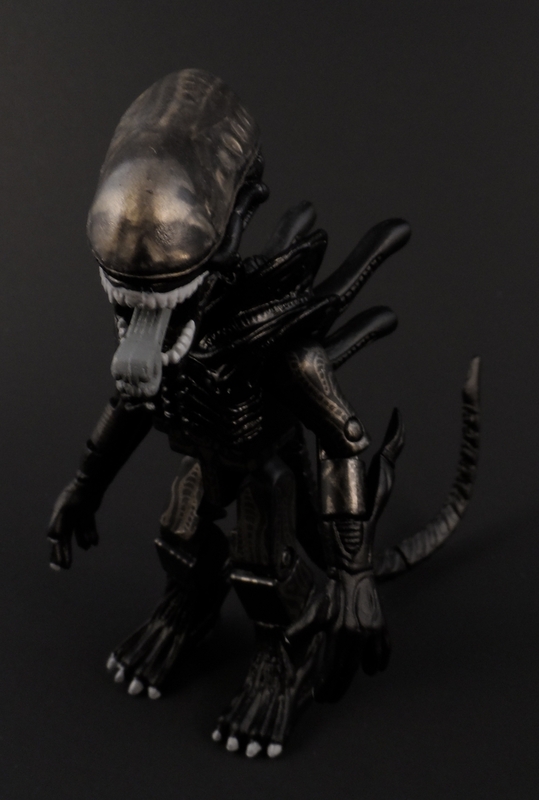 Unlike the Reaction Alien with Metallic Flesh (Also based on the same Big Chap Alien this Minimate is based on) the clear dome on this figure does not appear to be removable. 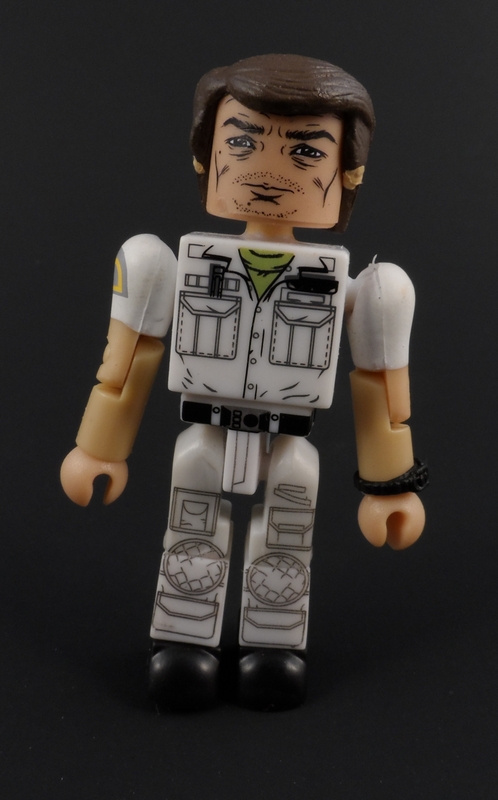 Dennis Monroe Parker is the Chief Engineer aboard the USCSS Nostromo. 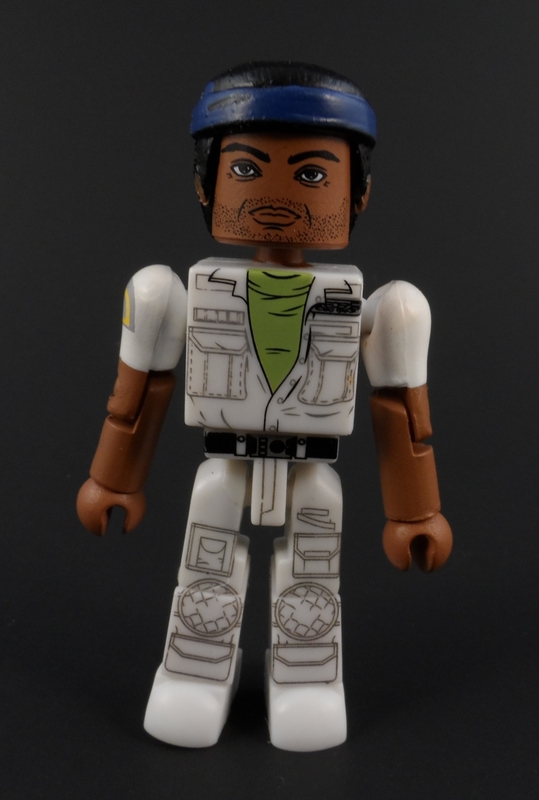 This figure nails all the details for Parker including his blue headband. 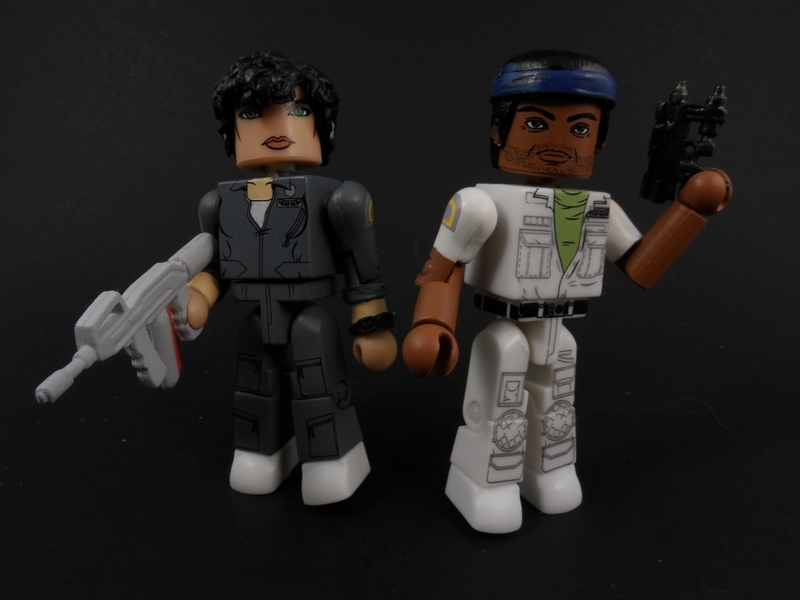 Like the other Human figures in this set, he’s a basic Minimate style with his hair being the only sculpted piece. 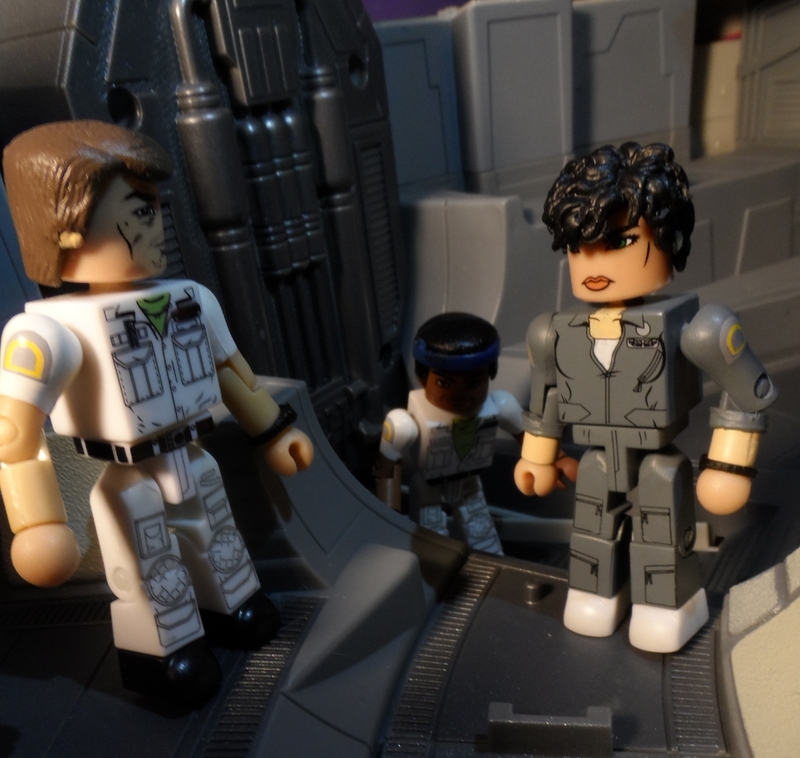 Executive Officer Gilbert Ward Kane gets most of the extra parts in this set. 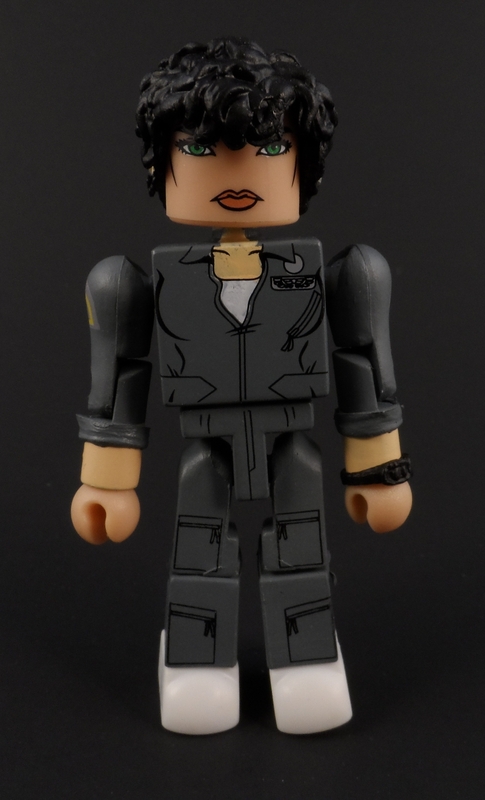 The base figure is very similar to Parker with only a few different details. The legs are exactly the same. Kane has an extra, screaming head and a slip on Chestburster so you can recreate his final scene in the movie. 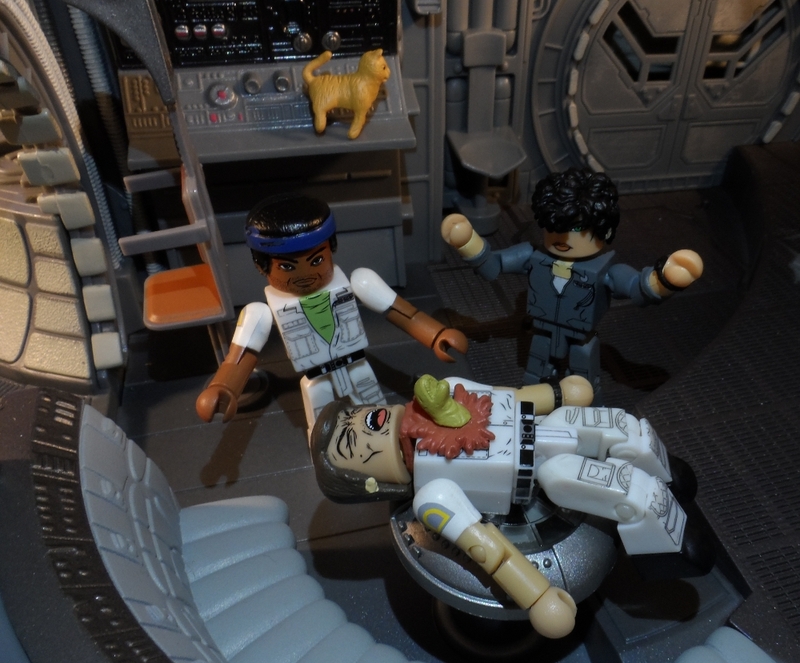 Also included in the extra parts that Kane came with are a slip on Facehugger and Jones the cat. 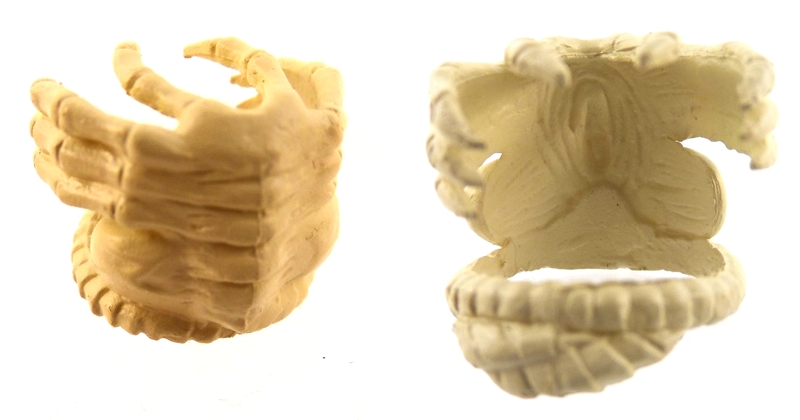 The Facehugger is well sculpted with details on the inside and outside of the piece. 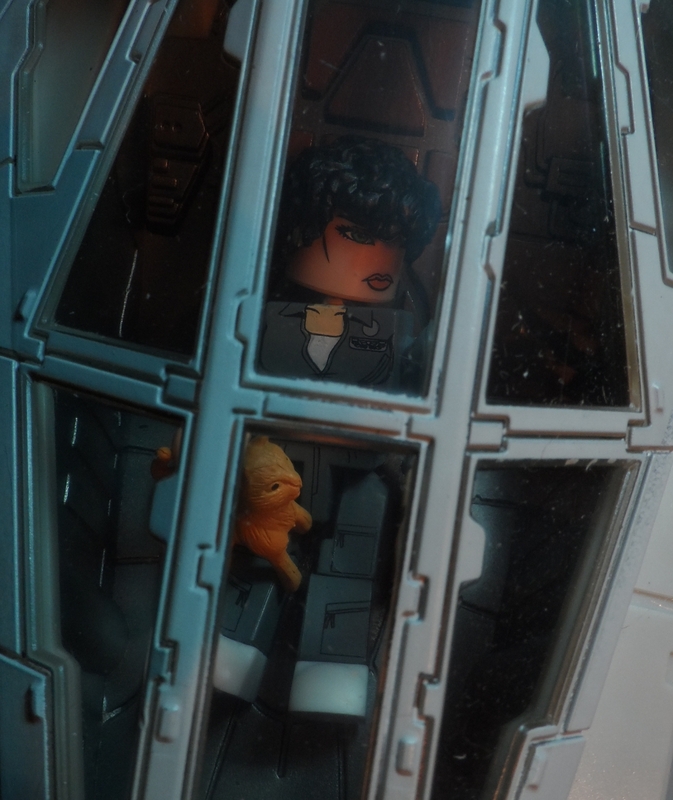 Considering the details on the inside will be hidden by the face, this is a nice surprise to see as it would typically just be blank in other toylines. 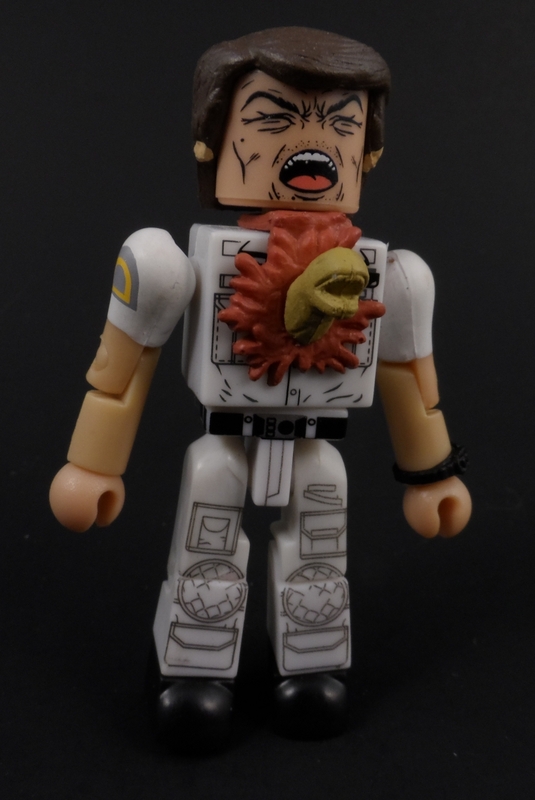 Both the Chestburster and Facehugger can be used on any basic Minimate figures meaning Aliens can infest any number of licenses from Marvel to Halo. 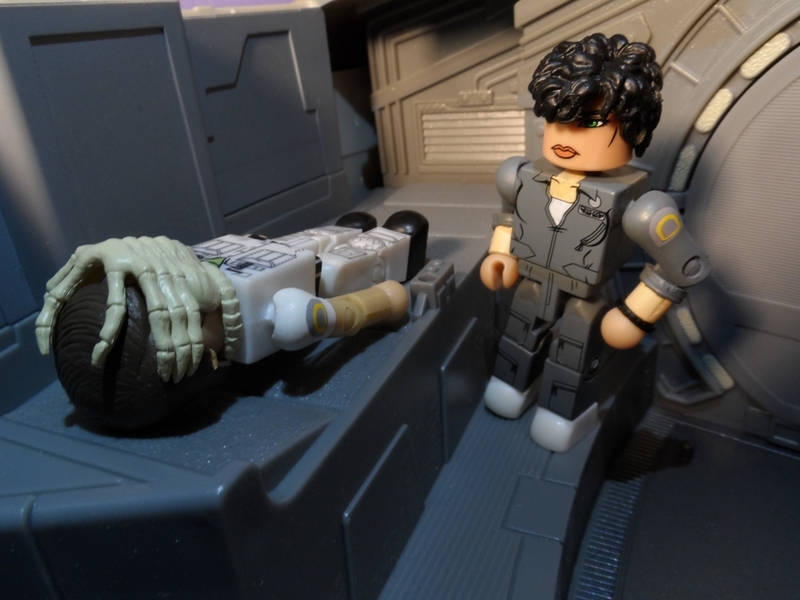 The Facehugger works best on a plain Minimate head, but the legs can be moved a bit to allow a hair piece under them as well. 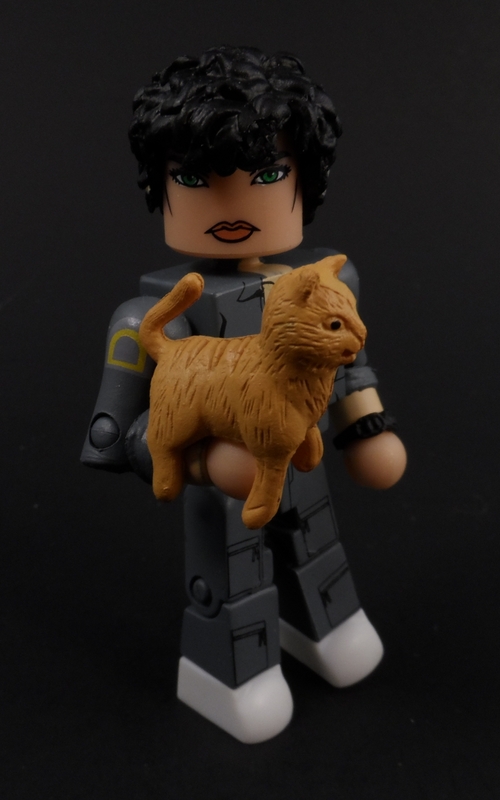 Jones the cat makes up basically the 5th figure (and second survivor of the movie) The figure/accessory is a single sculpted piece with no moving parts. 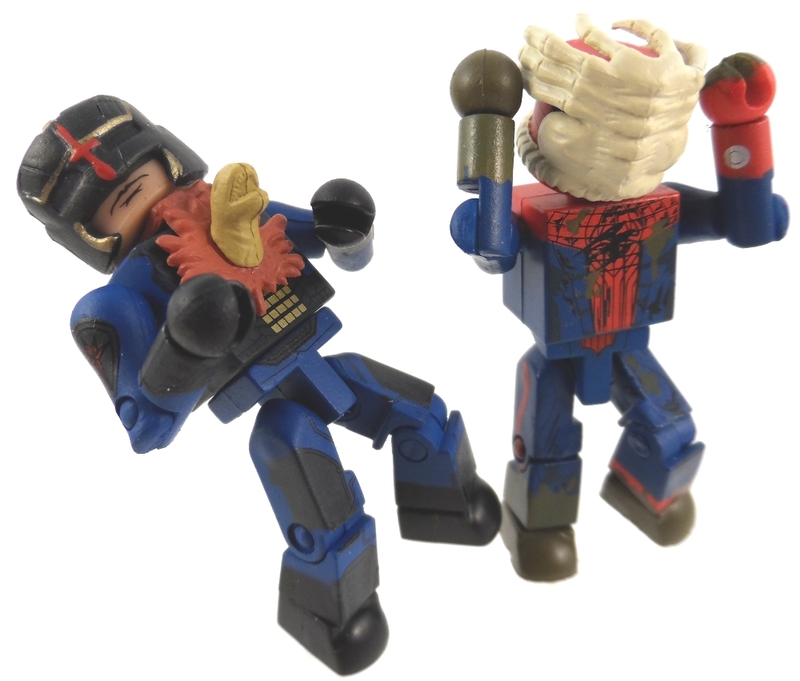 The legs are positioned in such a way that Jones can basically clip to a Minimate’s arm or stand on his own. 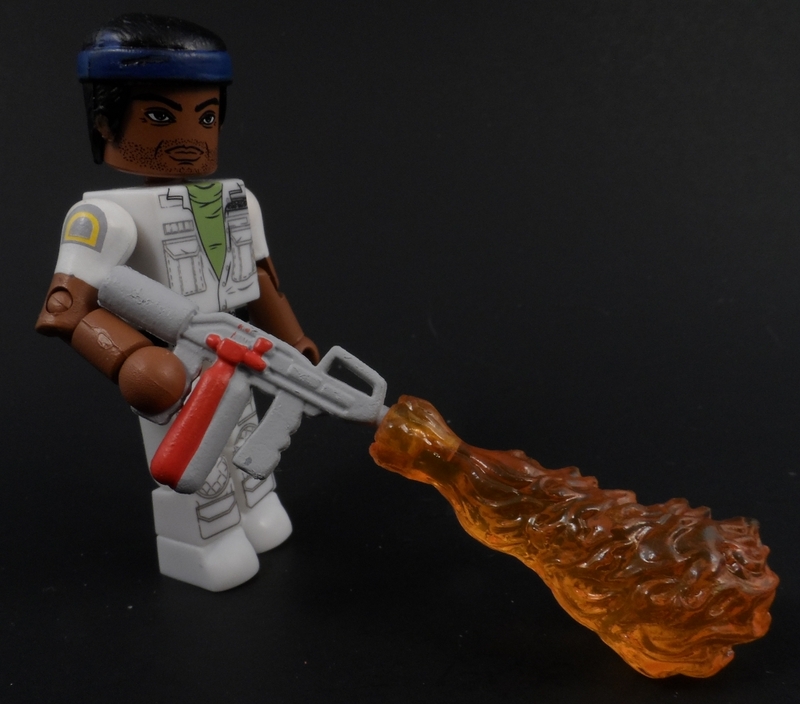 The weapons included in this set are two of the Flamethrowers that Parker made in the movie and two Laser Pistols that are seen in the movie but never used. 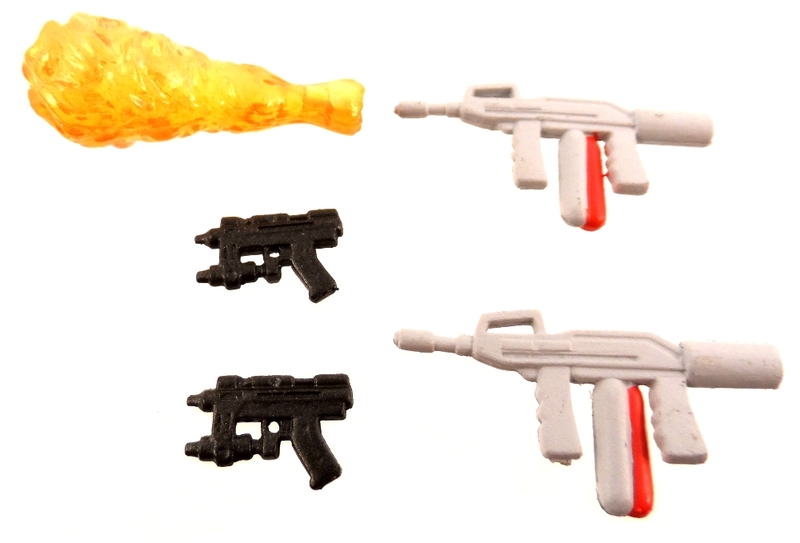 There is also a translucent flame accessory that can plug onto the end on the Flamethrowers. The attention to detail on these parts is excellent, I didn’t even know there were Laser Pistols in this movie til I researched the part in this set. 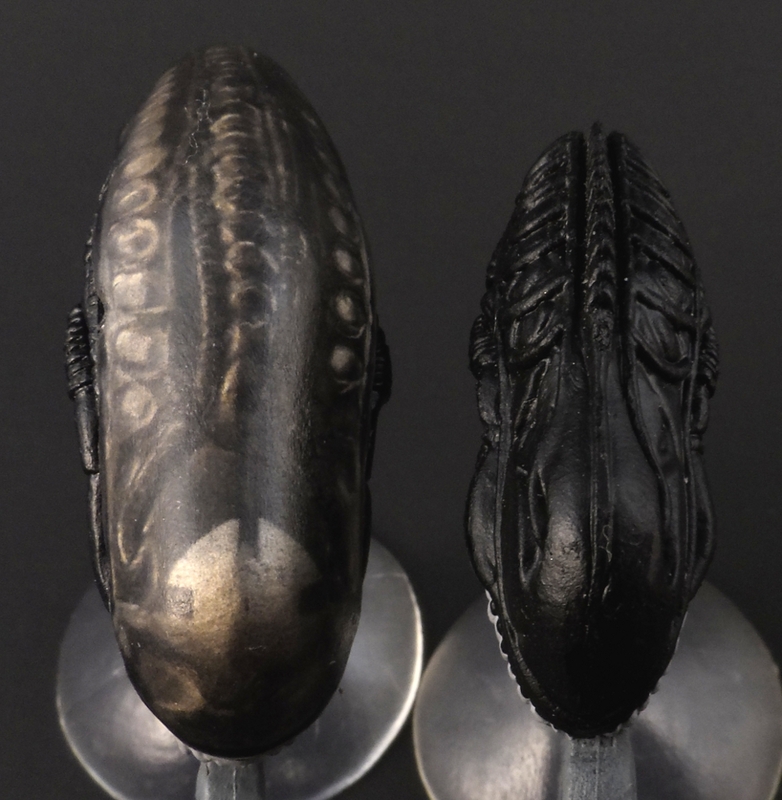 Looking at prop pictures, this tiny accessory is just about dead on with every detail. Due to the thin barrel on the Flamethrowers, the flame attachment will bend down a bit unless it’s resting on the ground or another accessory.